A summer sunset among the coconut trees. 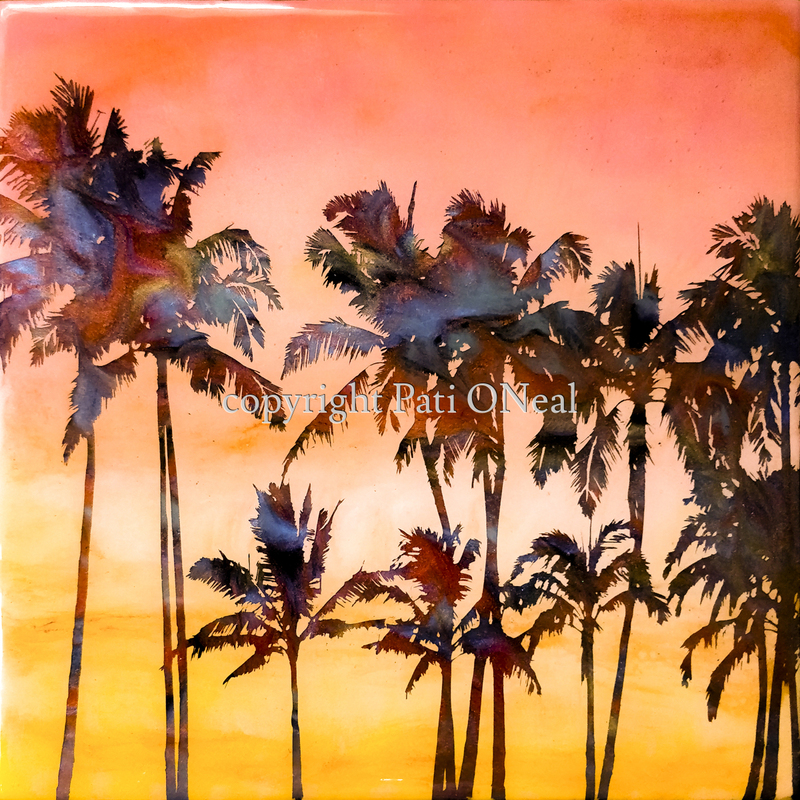 This vibrant resin painting is has various shimmering layers. The final appearance is created through the application of multiple layers. This original work has been sold, for a similar commission contact the artist.